Harrod Sport ® 5 v 5 FS6 Permanent Steel Football Posts, available in senior, junior and mini sizes. 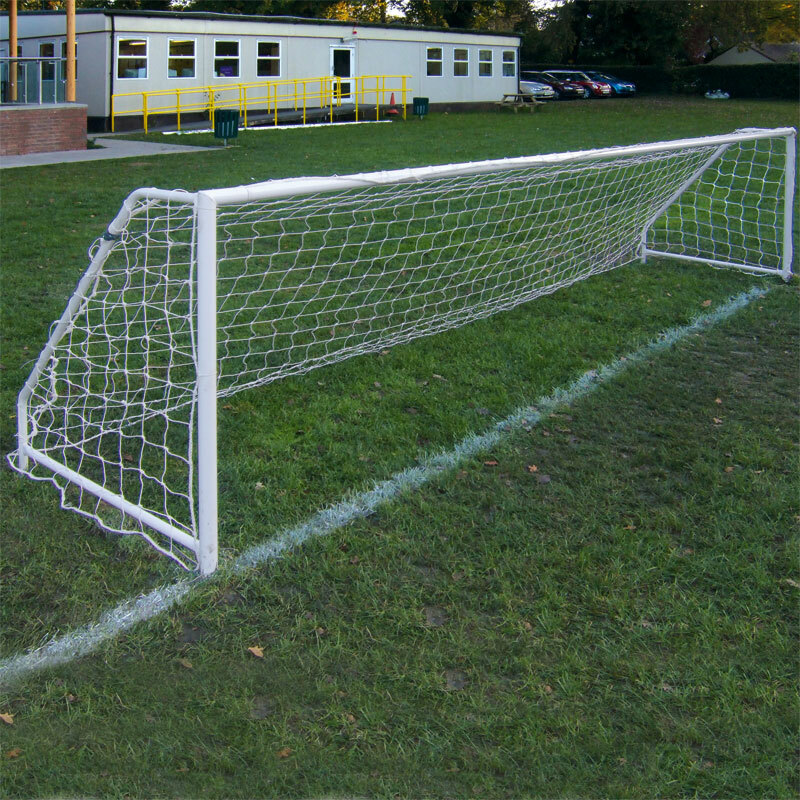 FS6 Permanent Steel goal posts are designed to be concreted directly into the ground and no sockets. 2 x Permanent Steel Goal Posts. 1 x Permanent Steel Goal Post. Manufactured from 50mm diameter x 2.6mm thick steel. Same specification as the socketed type but with uprights and back frames which are cemented directly into the ground and no sockets. 4.88m x 1.22m (16' x 4') - 72kg per pair, 36kg per single. Harrod Sport code FBL-134. 3.66m x 1.22m (12' x 4') - 64kg per pair, 32kg per single. Harrod Sport code FBL-135. 2.44m x 1.22m (8' x 4') - 57kg per pair, 28.5kg per single. Harrod Sport code FBL-136.